At the end of Matthew’s gospel Jesus commands his followers to “go and make disciples of all nations, baptizing them in the name of the Father and the Son and the Holy Spirit and teaching them to obey everything I have commanded you” (Matt 28:19-20). For adults and young people who are able to speak for themselves, baptism is an occasion to publically declare faith in Jesus Christ and demonstrate obedience to Jesus’ command. In doing so they become part of the Christian church. The Baptism service has three distinct parts. A declaration of faith in Jesus and turning away from sin and evil. Being signed on the forehead with the cross thus identifying ourselves with the death and resurrection of Jesus. Being “washed” in water symbolizing our forgiveness and the new life in Christ we enjoy. Water is sprinkled over the head three times as the priest says ‘I baptise you in the name of the Father, and the Son and the Holy Spirit”. On occasions some have opted for baptism by full immersion which is the way Jesus was baptised in the river Jordan. It symbolizes the drama of Jesus’ death and resurrection as someone is plunged under the water and then raised to a new life! This has been done in swimming pools, birthing tanks (how appropriate! ), lakes, rivers and at the sea-side. 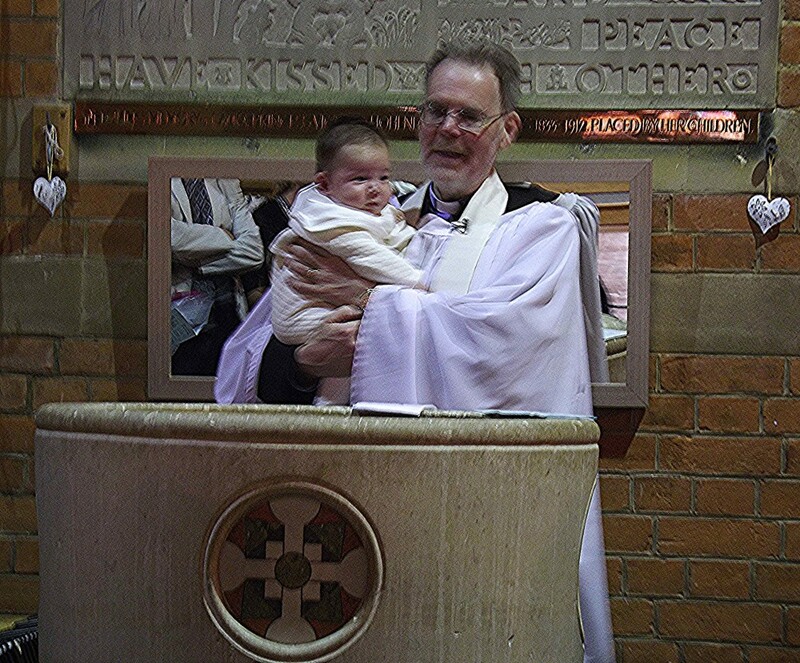 Christian parents may choose to have their children baptised as babies as a declaration that they will be brought up in the Christian Faith and as part of the church. Parents and Godparents declare their faith and the baby is signed with the cross, baptised and welcomed into the church. Our prayer is that in time they come to Confirmation, a service where the baby – by now in their teens or an adult - confirms the promises made at baptism and declares their faith for themselves. It is a moving and powerful service where the Bishop prays for each candidate, asking God to fill them with his Holy Spirit. During 2018 there will be four baptism services – the first date will be during Lent on March the 4th. Anyone interested in being baptised or having their children baptised is welcome to get in touch and begin a conversation about taking part. Some parents prefer to leave baptism for their children to request for themselves, but would still like to have a celebration for the safe arrival of their new baby. A thanksgiving service forms part of another Sunday service and can be held at any time. If this is of interest do please get in touch. As ever with the church of England we need to establish a connection to Holy Trinity Sunningdale as the most appropriate place for a baptism service. If you live in the parish then the connection is obvious but there are lots of other ways in which this might well be the best place even though you now live in another parish. Please do get in touch and we can talk about whether or not a baptism here will be possible. Note. A christening and a baptism are exactly the same thing – we tend to refer to the baptism of infants as a christening.